This blog is based on a talk I’m giving this week at the International Conference of Emergency Medicine in Cape Town. I’m really delighted to be given the opportunity to speak on the last day of the conference on a topic that, for me, originates from one of the first SMACC talks I did back in Sydney in 2013. That talk was about how the use of social media was subverting the traditional approach to education and how a number of organisations were starting to fight back. 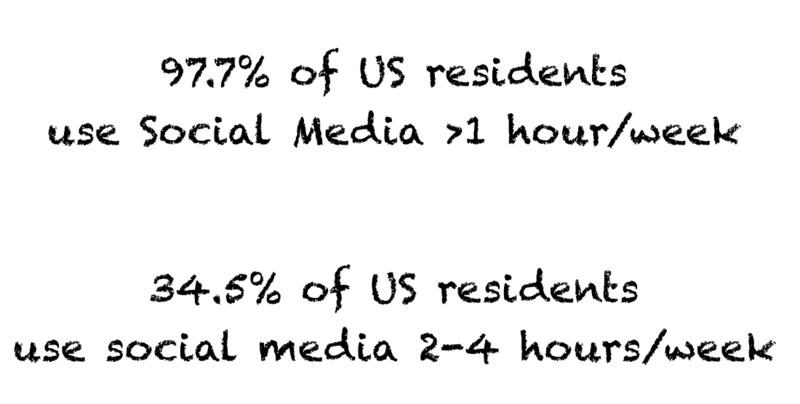 Although I think that talk is still largely valid, in the last couple of years I do believe that we are seeing a greater integration of social media platforms into traditional medical education programs and although it’s patchy I think there are examples of great practice out there and it’s worth sharing those ideas. It’s also worth reading the excellent paper in the EMJ by Damian Roland and Victoria Brazil on 10 ways to reconcile social media with traditional medical education. There are some great tips in there and I’d strongly recommend it as a read. What sort of #FOAMed are we talking about. If you are visiting St.Emlyns then I have no doubt you will be familiar with the concept of #FOAMed. 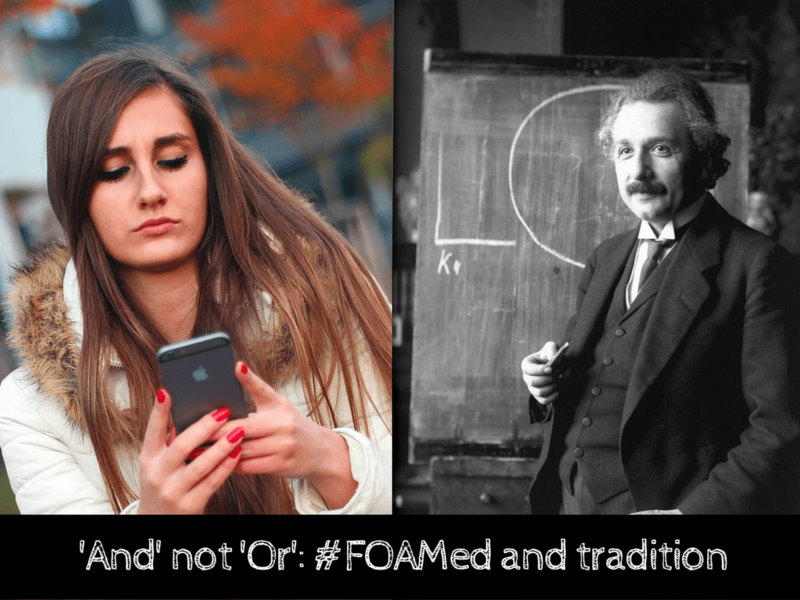 There are some great links over at Life in the Fast Lane if you want a refresher and history course, but in essence #FOAMed is medical education delivered via social media platforms. These are free, open and accessible to all. It’s altruistic, international, broadly based and encompasses a range of different media including blogs, podcasts and twitter (amongst many others). It’s accessibility and wide reach have caused traditionalists to become concerned about its use by trainees. The almost universal accessibility of #FOAMed through internet enabled devices has allowed students of all ages and profession access to clinical knowledge in rapid, and increasingly portable formats. This is a challenge to the traditional model of medical teaching when the control of content was largely dictated by the tutors. Lecturers made handouts, course directors specified course textbooks and learning sources in the form of books and timetabled learning events were linked to the curriculum. Whilst it was possible for learners to step outside of these boundaries there were barriers. Miss a lecture and it was missed, written content was often confined to that dicated by the course, and whilst it was entirely possible to purchase books outside of the required reading list is was expensive or limited. Libraries had limited hours and paper indexing systems that were slow and inefficient. These barriers no longer exist. The #FOAMed world is not chronologically constrained, and (at least for the consumer) it is free at the point of access. Do the tutors know what their students are learning? Do the tutors know the quality of what their students are accessing? Are the students using #FOAMed as a way of assessing the quality of their tutors? I suspect so. The studies allude to this, and anecdotally students and learners tell me that they seek out #FOAMed based learning that is accessible and engaging to supplement or replace their traditional courses. The simple fact is that many learners are now utilising web based resources to enhance, supplement and in some cases replace their traditional learning materials. We also know that tutors are to some extent oblivious to this. This is potentially a problem. We could rebel. We could try to restrict and warn our learners about the dangers of the internet and of the #FOAMed movement. I’ve seen this done in many ways, but perhaps the most common one is the ‘you might learn something different from the exam, it’s safer to stick with the course textbook’. Now there is some truth in this. There are real risks that the pace of change and what Ken Milne and colleagues over at the SGEM call ‘knowledge translation’ don’t change at the same rate between exams and new knowledge. It is possible that students might be ‘at risk’ if they believe what they read on the internet. 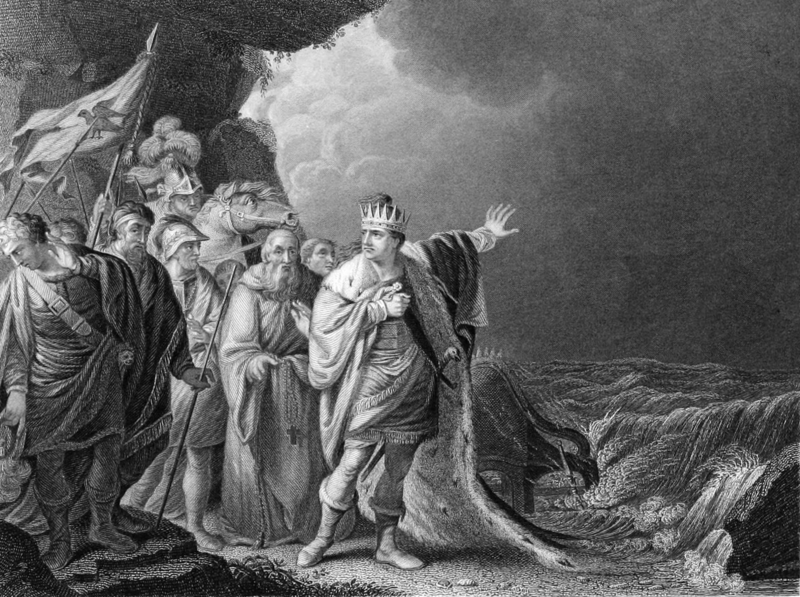 King Canute trying to hold back the tide. This would of course be quite ridiculous. It would be analogous to a digital King Canute attempting to hold back a tide of web enabled media. The Genie is out of the bottle, as readily accessible information is here, and is clearly here to stay. A nihilistic approach is bound to fail and so the wise educator must learn to work with and not against the #FOAMed world. It is thus better to think of #FOAMed as an opportunity to enhance education. Educators can no longer control the flow of information that our learners encounter. I would argue further that they should not even try to. 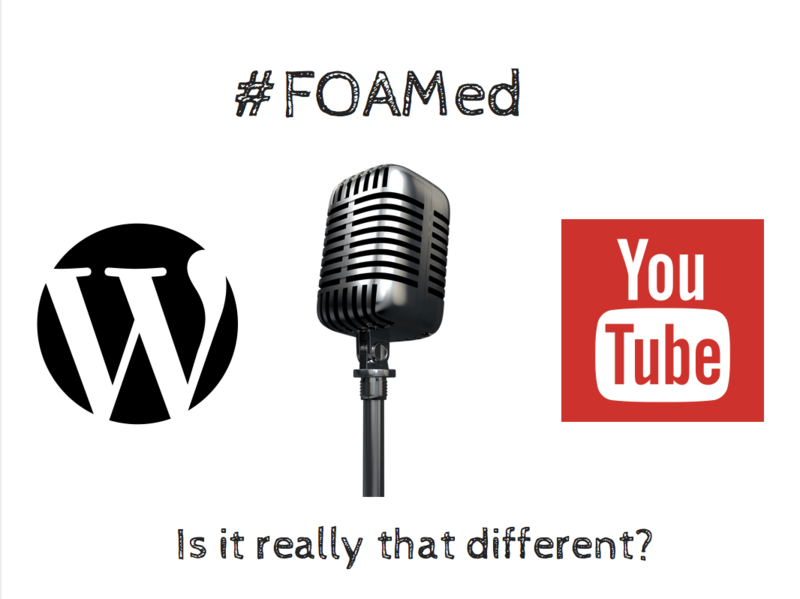 Is #FOAMed really that different from traditional education models? Much has been made of #FOAMed as a new movement in medical education, that it is an innovation and a new way of learning. I would argue that this is a fallacy, as there are clear parallels between traditional and new media. Podcasts are audio recorded lectures. Vodcasts are video recorded lectures. Blogs range commonly resemble lecture notes or handouts, but can be as comprehensive as textbooks. Hangouts and contemporaneous chats are tutorials and workshops. How can we engage with #FOAMed in traditional learning programs? This is a huge topic and is possibly a book in its own right, but for now we will focus on those that are easily achievable and accessible by an interested and innovative educator. We’re going to talk about 4 methods that we have successfully used. #FOAMed resources can be directly incorporated into teaching courses as reusable learning objects (RLOs). The nature of #FOAMed based media is that it produced and then archived on a web based platform. This, unlike a traditional model of learning, allows it to be accessed in a chronologically and geographically dispersed fashion. In Virchester we have moved quite a lot of our education into an online environment. We use a Moodle platform to help our learners navigate a mix of traditional and web based learning. 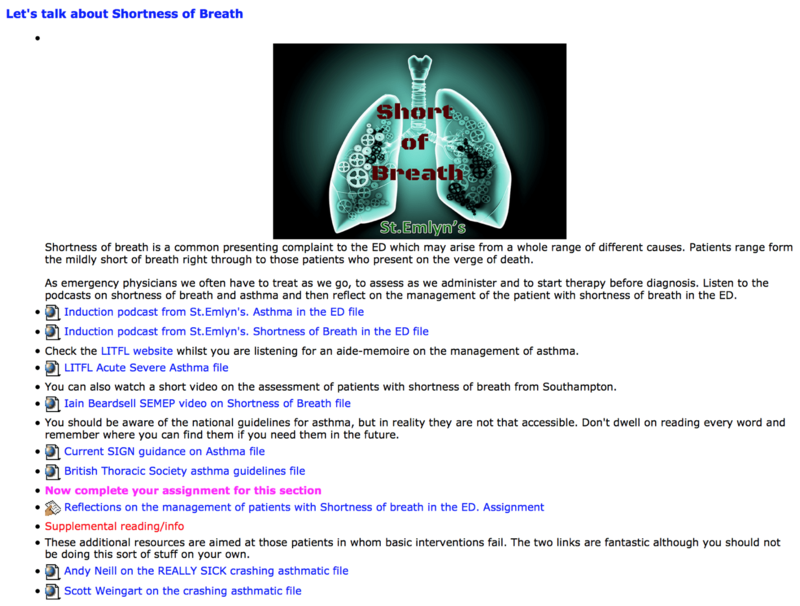 As you can see from the screenshot here on shortness of breath, learners are directed to a variety of resources that we have either created ourselves, or that we have linked to from other sources. We clearly identify core materials, but also offer higher level learning for those who are interested. The mix of materials reflects what our learners do and allows us to guide them towards high quality resources. As we are teaching a cohort working a full shift pattern this element of the teaching is ‘assessed’ by asking them to complete a reflection on their learning that is then seen and reviewed by their local tutor. They can also put this in their portfolios as evidence of learning. If you’re interested then you can read more on one of our past papers. You can also see how we have classifed our #FOAMed content against the UK curriculum. This helps learners and educators to find the right resurce for the type and grade of learner. Many medical curricula now use PBL as a model for adult learning. If you are unfamiliar with PBL then check the resources at the end of this blog. In brief, learners are presented with a case, they then brainstorm ideas and questions around the case, they then seek our and appraise the evidence before bringing it back to the group so that all can learn. The principle advantage is that learning is focused on what the learners identify as their own learning needs. Whilst it is best known at undergraduate level we find it more advantageous at postgraduate level where more senior clinicians can more readily identify the areas that they want to deep dive into. A key component of the PBL learning cycle is the identification and sharing of learning materials. #FOAMed resources, together with more traditional sources are often used in this way. For example a PBL case based around a patient with serious asthma may lead the learning group to look at advanced approaches in the management of such patients. Whilst there is obvious benefit in searching and sharing for guidelines and papers, the learning can be enhanced through more discursive #FOAMed materials such as a podcast by Scott Weingart or Andy Neill. These explore the management of the very seriously ill patient in an engaging and narrative way that is lacking with traditional sources. They cannot replace traditional knowledge, but they can enhance it, encouraging learners to challenge and reflect on the strength of evidence they find. In Virchester we use this PBL approach for senior trainees in emergency medicine. The dissemination, discussion and critique of all resources, including #FOAMed is a key aspect of the learning cycle. 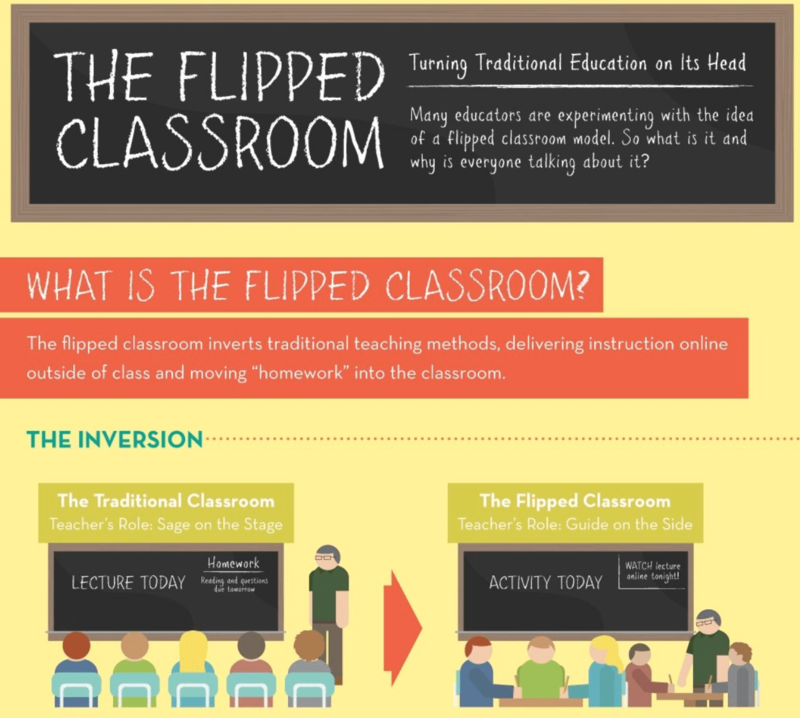 The flipped classroom is well described elsewhere. In essence, this model recognises that face to face teaching time is the best opportunity to discuss, clarify and debate new knowledge. In a traditional model much of the time is spent imparting knowledge, with just a short period of time at the end of a session to ask questions and for the learner to remodel and adopt the new. In a flipped classroom model the educator releases the knowledge delivery aspect in advance of the face to face session, thus liberating the face to face time for elements that require that interpersonal interaction. For example in APLS courses much of the knowledge based learning now takes place through e-learning in advance of the face to face components of the course. When candidates do interact with educators it features interactive workshops, simulation and discussion. Time spent sitting in rows and listening to lectures as a group is minimised and the face to face time’s potential is maximized. The concept of an #FOAMed prescription came about from the ideas of David Sackett. With colleagues he developed the idea of an educational prescription where a clinical question is generated by a learner during normal clinical practice. In the educational prescription model the learner is tasked to go off and find additional evidence to then bring back and discuss with the educator. A #FOAMed prescription works in a similar way. I use this in clinical situations where I might discuss a case with a colleague. During that interaction I, like all educators, try to impart some knowledge through discussion and debate. However, we know that it’s difficult to remember all that was said and discussed. 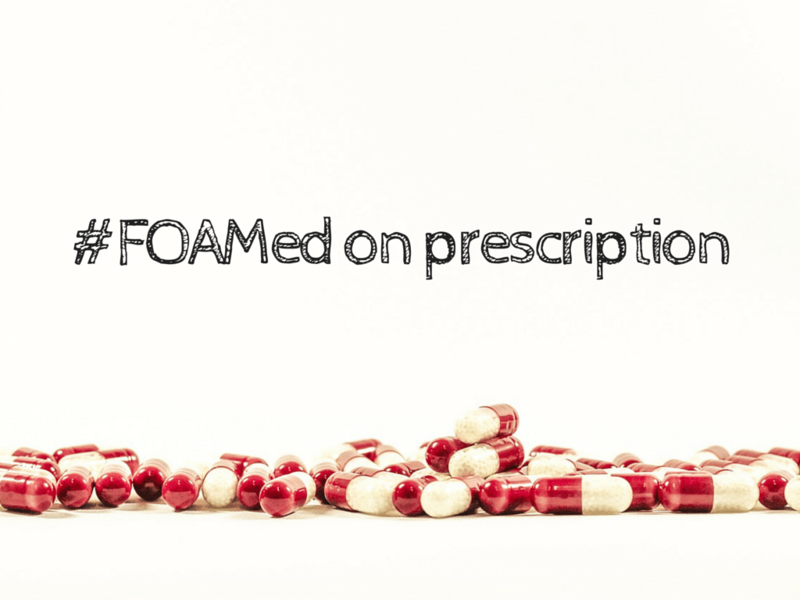 A #FOAMed prescription is a direction from the educator to an online resource linked to the learning conversation. The learner is tasked to listen to the podcast, or read the blog and then discuss it at the next opportunity. Again, the emphasis is not simply to accept what is accessed via #FOAMed, but to use the resource as a springboard for further debate and discussion. Unlike other techniques, the #FOAMed prescription often equires the educator to have a good working knowledge of appropriate resources and likely links. In practice this is not that difficult and if an aide memoire is required a quick google search by the educator can serve as a timely reminder. I also use this technique when completing work placed based assessments (WPBAs). Most of the electronic submissions ask for ideas for future learning. Again, #FOAMed is one of the accessible reseources that learners can be navigated to. What are the key skills for educators? 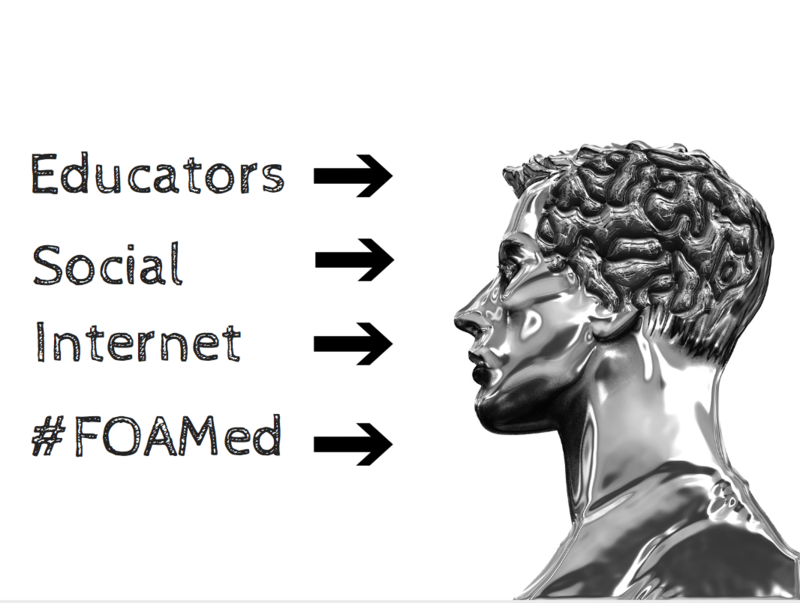 Educators must understand that learners are using #FOAMed. If that’s true then it is incumbent on them to be aware of what resources are being used and how. Being open to the use of #FOAMed is important. Better still is to identify and utilize #FOAMed resources in the ways described above. However, the pace of #FOAMed creation means that no educator will be capable of remaining up to date in all possible areas at any one time. Nor should they. Whilst it is advantageous for educators to signpost known resources I would argue that it is more important for them to instill critical appraisal skills in learners, to encourage them to be skeptical and questioning of all resources they encounter, #FOAMed included. It is a move for the educator to change from being the ‘sage on the stage’ to ‘guide on the side’ or as Rob Rogers and colleagues on the teaching course have described, for the educator to become the ‘learning choreographer’, directing, developing and encouraging the learner, but ultimately it is their performance that is judged. Educators may also find themselves judged against ideals as perceived from internet sources. #FOAMed allows high quality content to be shared widely, learners now know what a great lecture looks like, how great slides can enhance a presentation and how performance and entertainment can enhance learning. This may raise and alter expectations amongst learners and educators may feel a need to respond and change to these expectations. The bar for what constitutes a good educator is increasingly globally set. Educators may increasingly be encouraged to participate in the delivery of online content in the form of recordings or online resources. Note this is distinct from the technical aspects of #FOAMed creation which is not a requirement for all. An understanding of how to teach in an online setting is required though. The impact of any educational intervention is altered by the media it is communicated through (see blog on Marshal McLuhan and Medutainment), and this is clear with #FOAMed which in general has a more accessible, relaxed and intimate style. Many traditional lectures do not translate well to an online passive format if there is an expectation that learners will sit and listen attentively. There are exceptions of course, TED style (or SMACC style) talks translate well as they have embraced good design, stories and performance. It is apparent to me that not all educators easily translate their work from traditional to #FOAMed type platforms. What are the key skills for learners? Learners, like educators also face challenges with the sheer volume of available resources. The term ‘drinking from the firehose’ is pertinent and is a problem that we all face. Learners need skills in critical appraisal of #FOAMed based resources together with ability to search wisely and succinctly. It is not always clear at what level an online resource is aimed. One of the great strengths of many blogs and podcasts is that they challenge dogma and push the boundaries of what is known or agreed. This is clearly excellent if you are an established clinician but it may be confusing to more junior learners who may question their core curriculum as a result. Learners need to be able to understand where #FOAMed content is aimed, and how to handle new or controversial data in light of their core teaching. No-one should fail an exam as a result of following a blog/podcast at the expense of their core teaching. One could argue that this is a responsibility of the #FOAMed producers, and many do signpost this (for example on St.Emlyn’s we link to different parts of the curriculum), but in reality it is difficult to do and learners will always be required to do this for themselves. Clearly these skills can be developed and supported by educators who understand social media. We should also recognise what #FOAMed has done in expanding access to resources to other clinical groups. As knowledge becomes easier to access nurses, paramedics, students and other clinical specialities are listening, participating and creating in the same digital space. This is really exciting as the barriers that previously existed around different groups ‘controlling’ knowledge are being broken down. Learners of #FOAMed now extend far beyond the original target audience. It’s important that we don’t abandon the past by jumping onto a bandwagon of new technologies. Learners still need structure, curricula and a degree of didactic teaching. Students need to understand where their tutors are sourcing their information. That’s important so that they understand why they are being taught what they are being taught, but also so that they understand what’s going to be in the exam. It’s highly unlikely that #FOAMed learning is going to disappear. Rather we will increasingly face problems of volume, quality and legacy as current resources (most of which are less than 4 years old) begin to age and suffer from the same difficulties of more traditional media. Educators will need to maintain an awareness of how their students are learning and how they can support them in navigating the new media. The future is really exciting and whilst #FOAMed will hopefully speed knowledge translation in an altruistic and egalitarian fashion there will always remain a need for high quality educators. Our learners of today (of every grade) are arguably incredibly lucky. The ability to access, tailor and consume learning at a time and place that suits them is remarkable. It’s changing the way we learn, and thus it’s changing the way that we teach. #FOAMed is a medium rather than an entirely novel system. It arguably integrates and reflects well with many elements of traditional clinical teaching methods. However, there are now differences in the re-usability, post publication review and accessibility that the medium supports. 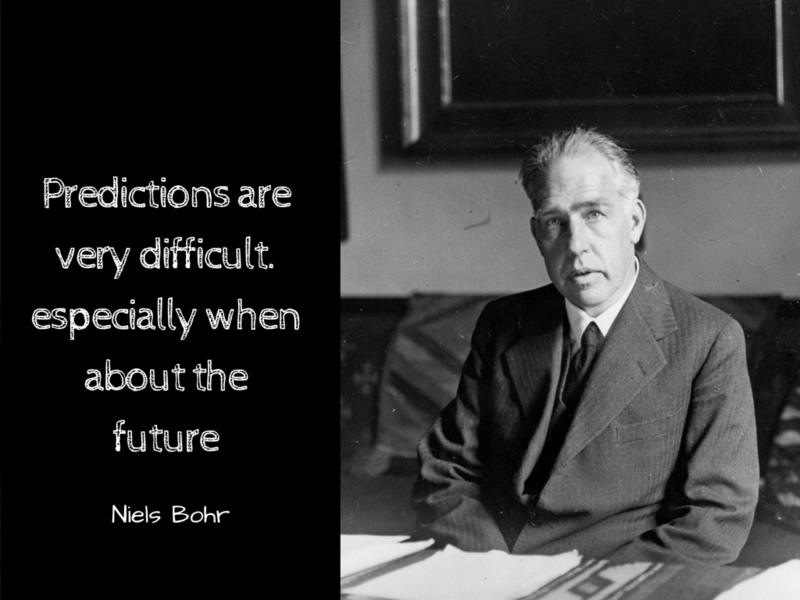 The educators of the future will have many of the same attributes that they always had, it’s just that they will be skilled in the medium of the moment, and that is already manifest as #FOAMed. The modern educator (and the educated) will need to develop skills in understanding the strengths and weaknesses of the new media. Those that do will thrive. Those that don’t will not die, but they may wither away, failing to reach a their potential for for self actualisation and transedence. How to ask questions and educational prescriptions from David Sackett.